Recently I am finding more and more termite activity in garage timbers. Even in steel garages and shed timber cross members. Often these areas are enclosed and stored with goods that can be unchecked for years and as these areas are non-habitable they are prone to moisture. I recommend checking your garage and sheds regularly as you could be housing a termite nest within metres of your property and once they get into your home it can too often be too late. 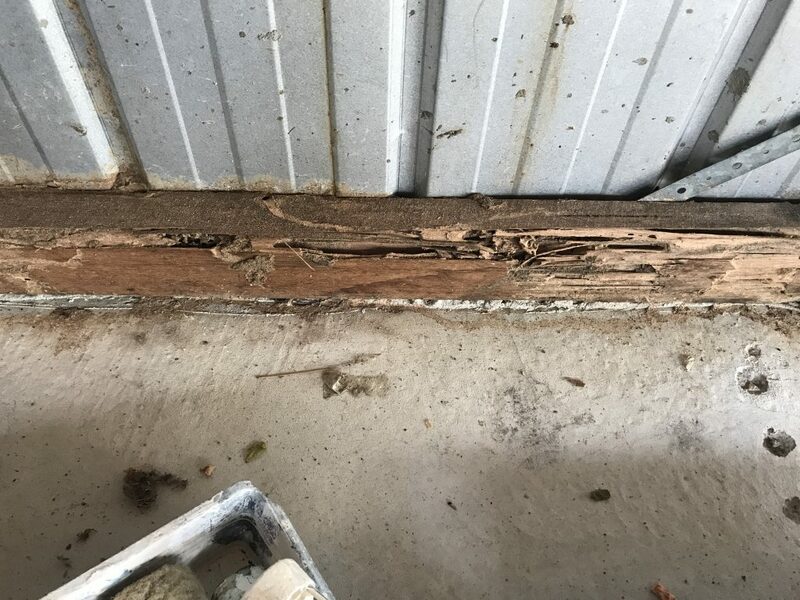 Find out if Termites are in your Garage with a Pest and Termite Inspection from Victorian House Inspections. No Replies to "Are Termites Lurking About in Your Garage?"